We often talk about environmental footprints and lifecycle analysis – but what about the afterlife? Did you know that each year the funeral industry uses 6 billion tons of concrete, 800,000 gallons of formaldehyde, and the wood equivalent of 4 million acres of forest? Cremation isn’t much better – services in North America use enough fossil fuel to drive halfway to the sun each year. 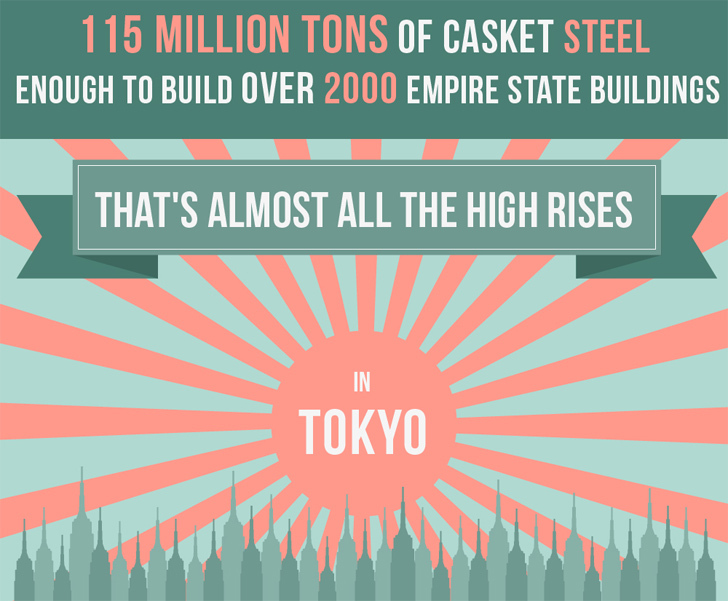 Qeepr recently launched a new infographic that shows the environmental impact of funerals – check it out after the break!